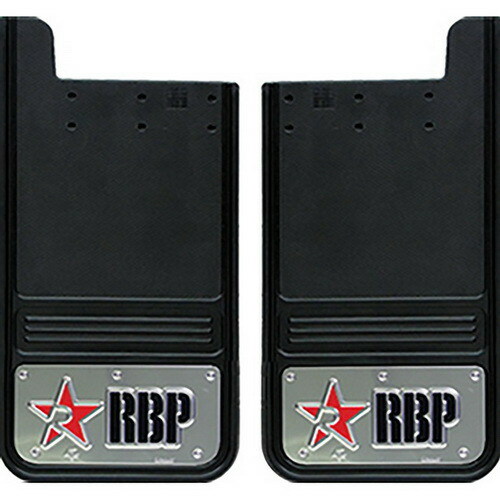 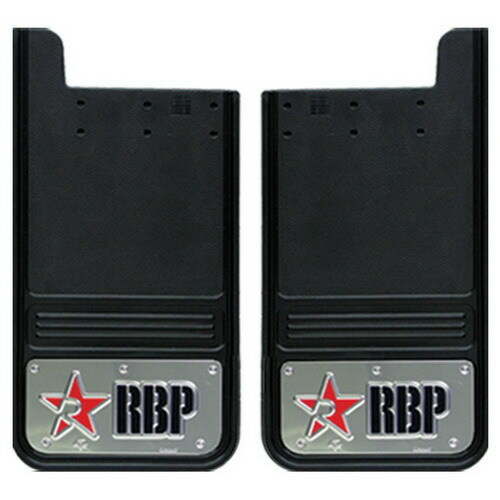 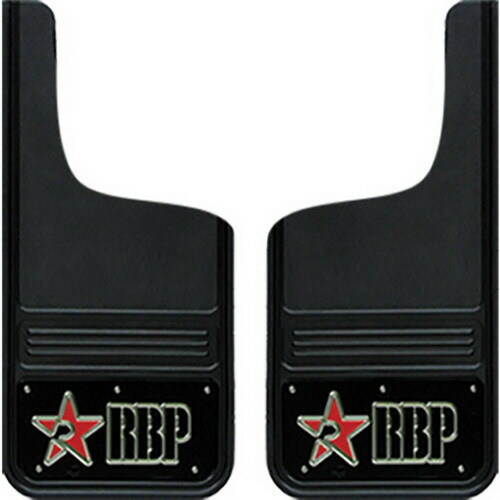 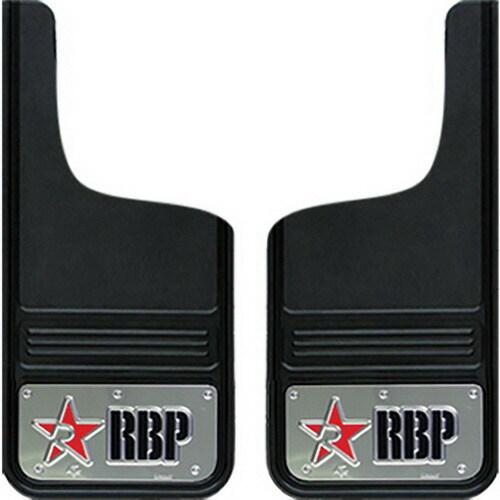 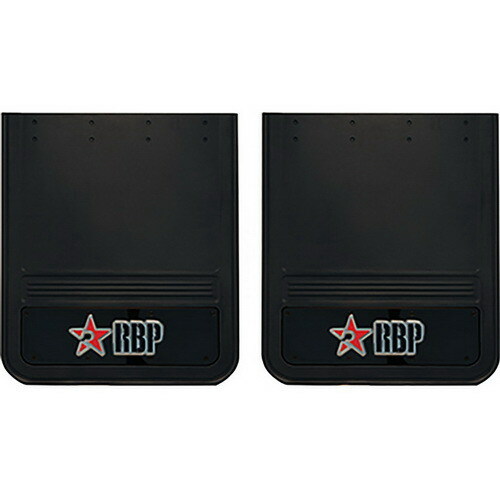 Protect your truck finish and add some seriously mean styling with RBP RX-1 mud flaps. 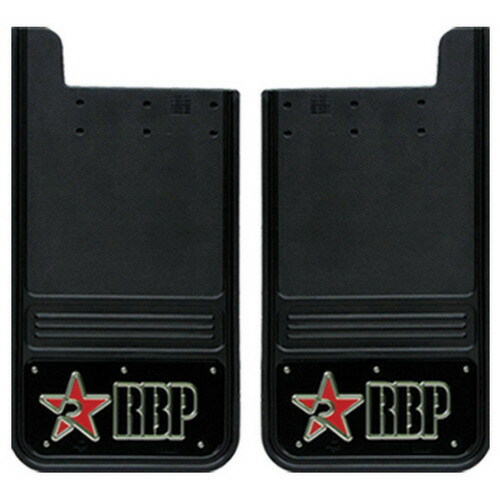 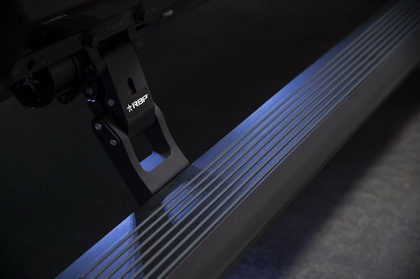 These mud flaps keep your undercarriage clean from mud and slush, so your rig stays cleaner, longer. 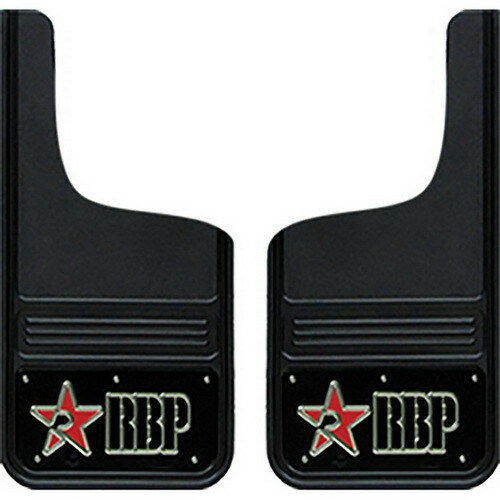 RBP mud flaps also protect against nicks, scrapes and dings due to debris and gravel slung up by your tires. 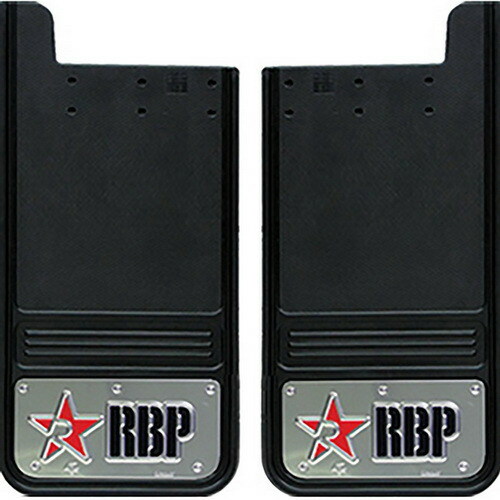 Available in a variety of finishes and sizes for SRW and DRW trucks, these mud flaps are custom fabricated using premium virgin rubber. 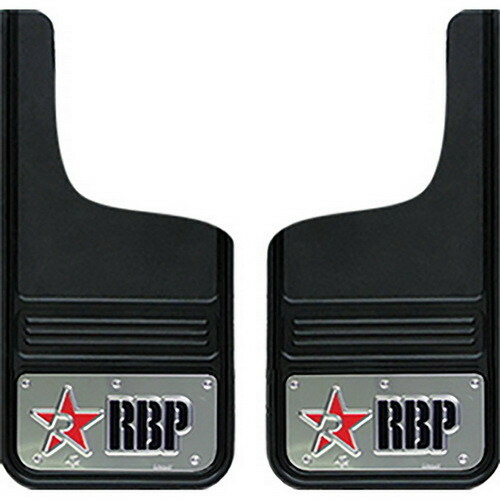 Featuring the RBP logo, they are available with or without stainless steel accents. These RBP mud flaps are 12inch x 23inch square size with die stamp inchRBPinch Red logo with a black background.